They all made it, arriving through the day Wednesday: Burleson, Mike Bantom, Jim Brewer, Doug Collins, Jim Forbes, Tom Henderson, Bobby Jones, Dwight Jones, Kevin Joyce, Tom McMillen, Ed Ratleff and Davis, the Georgetown (Ky.) College guard and Converse rep who enlisted his employer’s help to fund the event. The essentials of what transpired in that 1972 finale against the Soviet Union are widely known because, after all, it remains one of the most notorious endings and famous games in basketball history. People remember and talk about Kentucky-Duke in 1992, the “Willis Reed” Game 7 of the 1970 NBA Finals, Villanova-Georgetown (1985) and N.C. State-Houston (1983) from the Final Four, the night Wilt Chamberlain scored 100 points and a handful more. But there is a staying power to this one because of the shock and intrigue. Short on star power and straining at the tight leash held by the legendary Iba, the U.S. players wound up raked over by, yes, the military professionals of the U.S.S.R. but more so by the politics, protocol and backroom allegiances of that time. The Cold War still was quite real. The Soviets were determined to assert athletic superiority as a stand-in for political, economic or cultural. And one international basketball advocate came down from the stands that night with, perhaps, an agenda and altered the outcome. In the waning seconds, after the U.S. team had trailed pretty much from the start, Collins stole a careless Soviet pass, raced to the basket and got hammered. Dazed, he still sank two of the most pressurized free throws ever. That put the Americans up 50-49. But even as Collins launched his second foul shot, confusion had begun. A horn blew. The Soviets clamored for a time out but didn’t call it properly – or did they? A hurry-up inbounds play was wiped off and the team in red tried again, with an errant pass that sparked a U.S. celebration. Gold! But wait: R. William Jones, the 65-year-old co-founder of FIBA with no authority in that Olympic championship moment, showed up on the court and ordered the timekeeper to put three seconds on the clock. A timeout had been called, he said, but missed by the international referees. The U.S.S.R. got a third chance. This time, a long pass wound up in Aleksandr Belov‘s hands for a quick turn and layup. So those medals sit in a vault in Switzerland to this day. The Americans skipped the ceremony and resisted every attempt by the IOC to convey them – until even those bureaucrats gave up about 15 years ago. Four decades later, they still feel cheated. They still feel they won, 50-49. Oh, many of them have replayed the game in their minds and wondered how different things might have been if Iba really had used their athletic ability, letting them run rather than grinding in a halfcourt game. Maybe their lead would have been too fat to steal. They think about better defending that final heave. But in their hearts, there is no doubt. At times through the years, a player or three has wavered, thinking about mortality, about what the silver medal might mean to kids or grandkids, even about concepts such as closure and sportsmanship. But Olympic rules require that all of the U.S. players must accept the medals or none of them can. It never has been close. Davis even has it written in his will that his heirs must never take possession of that silver medal. When they gathered Wednesday, McMillen – the 12-year NBA veteran who served six years in Congress (D-Md.) – pitched an idea: The ’72 team would agree with Russia and the IOC to have “dual gold” medals bestowed, with both sides then donating the medals to raise funds to aid some of the many grim Russian orphanages. Other members of the ’72 U.S. team respectfully listened to McMillen’s proposal. They teased him about still being a politician. “Dual gold?” Nope, still sounded wrong. Then they took another vote on the silvers. The jury again was unanimous: 12-0. Twelve angry men? No, but 12 very determined basketball players, then and now. US team deserved to win gold medal: it was a cheat. Yet the cheaters were not Soviets. Nobody put enough attention on fact that Mr.Jones was american. So, why he did that illegal intrusion with the famous “3 seconds” call, damaging his homecountry team? Time later, an italian basketball journalist Aldo Giordani (who should deserve to be introduced in the Hall of Fame) put that question to the former FIBA boss, William Jones and he said that if US team had won nobody had taken care about “another US basketball olympic win”; that means his intent was to have lot of rumors and argues on international media about a basketball main event outside USA. Propaganda is the term to explain it. At that time interest about basketball was growing in Europe; nations such as Yugoslavia, Spain and Italy were slowly improving and first players received little attention by US professional teams (Meneghin, Hall of Famer, selected by Hawks in 1970 draft at 10th round), Kresimir Cosic and Praja Dalipagic invited by Celtics to a summer camp test, etc. There were first shy steps of a road that will be built at the end of 80s by pioneers Marciulionis, Petrovic, Divac and Volkov. Anyway that Iba’s team was badly built: there were good defensive players attitudes but poor offensive skills. Georgetown’s Thompson coach will repeat similar mistake in 1988. Last note: on the decisive Belov’s goal there were five different infringements by Soviet players. I found these comments quite interesting so I decided to do a little research. From what I found, Mr. Jones was actually born in Italy and was British, but lived the last of his life in Germany not far from Munich. Couldn’t confirm, but appeared to hold residency in Germany ever since those Olympics. He did however attend college in the US at the same college as Dr. Naismith. I never looked at the whole scenario in a broader view and I think you make a very good point that his impact on the game was to intentionally broaden the game of basketball. As a true fan of the game, that calms the rage somewhat. Do the ends justify the means? Probably depends on who are you are talking to. I’m too young to have experienced this game, but from the research I’ve done, the “if they defended properly for 3 seconds!! !” argument seems to be forgetting the fact that they did. The second ending (not final) of the game was after the 3 seconds were on the clock, the USSR failed to score and the buzzer sounded. It was the third time the game ended that R. William Jones was satisfied with the results. I do think it’s unfair to accuse the Soviet athletes of cheating, they just capitalized on the opportunity given to them as would any competitor. The Soviets deserved to win. How can anyone accuse the Soviet team of cheating and adding time to the clock is beyond me. Have they been put in charge of the clock??? I was also bemused to learn that there is a person with the title: Soviet Union basketball owner!!! Can the Laker Nation clarify who is this owner? I thought the Olympic idea was that it is more important to participate than to win… Well obviously the Americans are not familiar with this idea. I think I see the confusion here… Basketball is a bit different than football (soccer in the states) in that some random person isn’t allowed to wander into the game at the end and demand that the officials give the losing team a little extra time to win. Many of the commenters here are from countries where soccer is far more popular than basketball, hence their confusion as to what is considered proper in basketball. Many Americans are understandably baffled by this view, as soccer in the states is a sport played almost entirely by asthmatic little girls while in the midst of having their periods for the first time… And as such isn’t very popular. Pride and honor… The gold medal isn’t just some piece of metal that worth more than the silver, but it is a symbol of pride and honor. I respect the descision of the players of that 1972 team because that is what they believe in. But, I disagree that they were robbed. There are still 3 ticks on the clock left on that game, what did the USA team do during that precious seconds? They stop fighting. They let the russian score and take away their glory. If they only gather their senses, and think like real champions, they might have won the medal. They could have made it happen during those precious seconds not after 40years the final buzzer sounded. They deserve the gold medal only if they defended it for at least 3 seconds. I agree with you raffy. Life is all about choices and chances. They have their chance but they made the wrong choice, they did not defend well on the final 3 seconds. And stil, they are making the wrong choice by not accepting the silver medal. couldn’t agree with you more, tommohawk!!! Just imagine if they defended properly for 3 seconds!!! None of this would be an issue. The old addage that defence win titles couldn’t be more evident! Just imagine how distraught and confused you would have been as a player in the last three second. Getting back in a defensive mindset after the game had ended the first time would have been tough. It’s interesting how people just spit words out of their mouths before thinking about what their actually saying. It’s just not fair. They need to grow up, not us. There is a difference between a REFEREE making a bad call and SOMEONE ELSE, who is not in the game and should have no authority on making calls, forcing a bad call. So this isn’t about crying or complaing or whining, this is about the truth. They were robbed, plain and simple. Also I think they have made it very clear that they are LEAVING THEM. If someone steals my car, I don’t accept a scooter in it’s place. I find it interesting that you call all non-American’s foreign – now that’s irony. I think you need to reacquaint yourself with the word ‘foreign’ before you make anymore idiotic comments, Tommohawk. According to dictionary.com, the very first definition of ‘foreign’ is “of, pertaining to, or derived from another country or nation; not native.” Here’s the link just in case you don’t believe me: http://dictionary.reference.com/browse/foreign?s=t. Soviet Union deserved that gold medal, for what they did during that match. It was amazing that american players refuser their silver medal, it was a symbol of too mch pride and thoughtlessness. People are leaving ridiculous comments here, really. If the referees didn’t make the call, then the game should have ended. I don’t care how many old or new videos show up, hindsight is 20-20. The referees are the ones that determine whether there was a foul, timeout, out of bounds, etc., and not somebody in the stands. The fact that other people have had similar misfortune doesn’t mean ANYTHING! So if I get robbed, I shouldn’t get upset because you got robbed too? That’s absurd! The USA lost fair and square in 1988 and 2004, so save that “crybaby” B.S., people. That 1972 team got robbed, they’ve accepted and learned to live with it, so should you. JOL…You have made the most SENSIBLE STATEMENTS out of this whole comment session, AND FOR THE RECORD, I AM A PROUD AMERICAN!!! The refs DID NOT make the calls in the waning seconds..A PAID BUREAUCRAT DID…that guy ,R WILLIAM JONES, should be investigated for possible bribery…the comment from the AMERICAN BORN COACH who coaches the RUSSIAN TEAM should have never been made or taken serious, he couldn’t get a gig on the US team so he shills for the russians….The comment regarding the US losses in ’88 and ’04 should be enough for the uninformed idiots or the foreigners to chew on because those games were decided ON THE THE COURT BY THE OFFICIALS FAIRLY!!! Those US teams accepted their medals and did not make a fuss about the outcome, they just got outplayed…..anybody who has any knowledge of basketball knows that even with the mercurial nature of FIBA OFFICIATING that the timeouts called by people other than the coach or the resetting of time by a NON-OFFICIAL is against the rules…I COMMEND THE ’72 TEAM FOR THEIR STANCE!!! USA lost. Plain and simple. Look, if in this past 2012 Olympics… In the Final Gold Medal Game (USA vs. Spain)… If this exact same thing happened…. and (NBA Commissioner) DAVID STERN walked onto the court and started barking orders to the time keeper and the Olympic Officals…. DAVID STERN WOULD HAVE BEEN PUT IN HANDCUFFS!!!! At the MINIMUM he would have been ESCORTED off of the court by armed/uniformed officers. PERIOD. A basketball enthusiast storming the court AFTER Olympic competition has ended is NOT regulation, it’s not Ethical, it’s NOT LEGAL. I’m proud of this team of KIDS for winning THAT game for name that was on the FRONT of their jerseys. Get over it, we (the Soviets) were just better at basketball that year 😛 the real lesson to be learned is “do not celebrate until its over cuz it aint over till its over like rocky said”. that victory was truly heroic for the soviet team, their feat is not forgotten in russia to this day (and seems that in america also!). also ivan drago would merc stalone in real life! 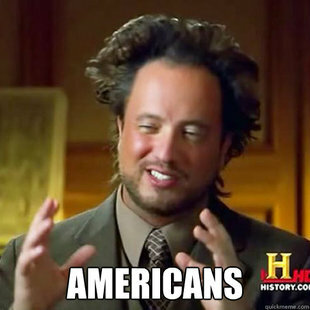 usa is lucky we lost to spain in the olympics and didnt make it to the finals. kiriliusha wouldve owned! Americans are always going to be crybabies. The States bullies everyone and when they finally don’t win with all the odds stacked in their favor, they cry. Whine and cry you babies. In a week I hope that you will write an article about the Beijin´s final and how the refrees make their job, and stolen the gold medal to the spaniards. .I am glad that the russians won, accept your losses. soviets won and it was unsporting behavior from team usa. it’s hard to accept the loss but boys need to grow up. It’s been shown over and over that the USA lost fair and square. I understand at the time why the US athletes refused to take the silver medals, but 40 years on and with the political climate not as it was, they should man up and take the silver medals they deserved. Wow! Let it go! Interesting how a South Korean fencer gets cheated and its not international news, the US will moan and complain when things dont go their way but seem to have little sympathy for others when they get treated the same way. Still whining after 40 years? Typical Americans…move on, get over it, no one cares about it except you! I’m not american, nor am i Russian. but this is a very one sided article. why not give the other side’s story too? moreover, David blat, a born and raised american, who happens to be Russia’s current head coach, said that he so a new unseen video, which clearly supports the Russian side of the story. He grew up believing, just like you, that the Americans were robbed, but he changed his mind after reviewing the facts. i’m not taking sides here, but at least show that video, and everyone could decide for themselves, rather than immerse in feelings of deserved ,but unrewarded, fame. DORON for making those comments you should replace the D for an M….of course the article is slanted toward the American point of view…last time I checked the NBA website was concieved in the USA….You and David Blatt should just stay in Russia and look over that game again and again until you get it right….A NON-OFFICIAL MADE GAME CHANGING CALLS AT A CRUCIAL POINT IN THE GAME…..NOT ONLY THAT BUT DURING THE COURSE OF THE GAME, THE AMERICAN BIG MEN WERE TAKEN OUT BY HARDER THAN USUAL FOULS GIVING ONE A CONCUSSION AND THE OTHER WAS THROWN OUT BY THE REFS FOR CONTESTING A BAD CALL…..ADD THAT UP ALONG WITH THE WILLIAMS CHARACTER WHO PLACED TIME ON THE CLOCK WHEN HE DID NOT HAVE THE AUTHORITY TO DO SO, THEN YOU HAVE A CONTROVERSY…..YOU SHOULD LOOK AT THE GAME IN IT’S ENTIRETY BEFORE YOU COMMENT!!!!! What a bunch of cry babies. They should be stripped of any Olympic honors altogether. I was fourteen years old at the time of that game. And to this day I just can not watch the Olympics because the judging always favored the USSR. As bad as that tragedy was the absolute worse lose was the Israeli team killed and denied a chance at any medals. I am in total agreement that we should never accept the silver, because we were flat out cheated. You Americans and the disdain to accept the Olympic ruling. Just look at McKayla Maroney and all her unsportsmanlike behavior after winning a Silver Medal. I do realize that the game was a bad ruling, but refereeing mistakes happen every time and in almost every sport, but you had to fo on and blame it on the Cold War and how judges ‘favoured’ the communist teams. That’s just not it, it was a bad ruling and that’s all. Bad ruling? bad ruling? that wasnt a referee mistake. that was on purpose, and how you could be on the olympic’s side on that is beyond me. Someone who can just pop up out of the stand and come up and force a replay is not a bad ruling; it is an ILLEGAL RULLING. Anyone with an IQ should know that Alfonso, and the fact that there was additional replays to the game for other bad ruling as you say added to the conspiracy that this game was fixed from the beginning. I,m glad thet didnt accept the silver medals, the U.S. was FLAT OUT robbed!! !